High Pressure Gauge replacements on Tubing, Casing, Flowlines, fix leaks on wellhead piping. Fresh water Injection, Stuffing box replacement rubbers. ​Change gaskets, Inspect inner coating, burner tube/stack, change anode. Pressure dump valve rebuilding. Gas regulator inspections. Changing of belts and alignment, grease zerks, tag line, load sensor, weight adjustment, alightment of bridal and horses head. Adjust brakes on Unit. Send in gearbox oil for testing. ​Sparker box replacements, Readjust ceramic insulators, Low and High pressure tip exchanges. Flare containment pit relocation and reworks. Defective Valve replacements on Tank batteries, Treater piping, wellhead flowlines Any kind and size of Valves. Able to fix recycle pumps and fresh water pumps of of non working parts and exchanges. Flow meter replacements. ​Location containment dikes fixed for presentation. Ground altered by weather conditions that might need regrading, flattening, or additional ground added. 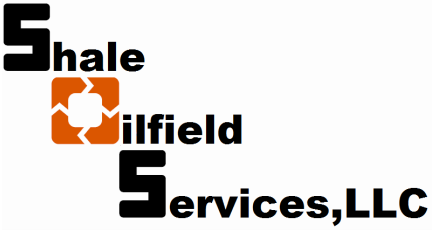 Any dirt work on locations can get done by Shale Oilfield Services. ​Installation of production lines from wellhead to treaters, treaters to tank batteries, treater to flare pit. All done in a safe, efficient and of the best quality. SOS has the experience to complete from small projects to big projects in new constructions. From building new Tank batteries, Treaters, Flares and Pumping Units.